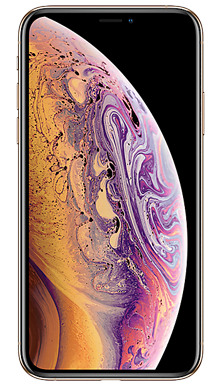 Select your desired options to find the best Apple iPhone Xs deals for you. If we had to give Apple a slogan, it would simply be ‘go big or go home’. The long-awaited new phone certainly has done just that. No need to head home with their tails between their legs the iPhone XS has hit the ground running, and Apple fans everywhere are in their collective Nerdvana elements. The new handset formed one of three that were unveiled in September 2018, with the iPhone XS Max and the iPhone 9 also hitting the shelves. It is the iPhone XS that will replace the iPhone X at the top of the game and takes its place confidently as the new and very much worthy flagship phone. 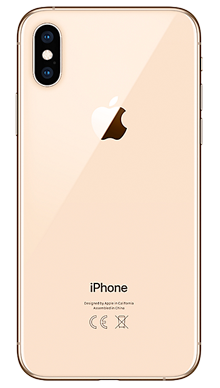 Because the iPhone XS is the newest kid on the Apple block, you know it is going to have to have the price tag to match. But that is not going to stop it flying off the shelves as the die-hard fans flock to get their hands on one in the first few weeks and it is charted to remain a huge seller, so what is creating all this hype? 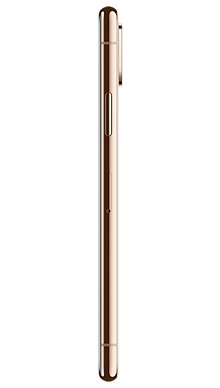 So being the new big brother of the iPhone X, it comes as no surprise that the iPhone XS is a similar design. Apple is clearly happy with the response to the removal of the bezel and home button as they remain gone on all three new releases. The iPhone XS features the OLED infinity screen that the iPhone X premiered in 2017 and still looks stunning. Considered to be the second gen iPhone X we see a similar sized 5.8inch display, and signals a fond farewell to the fingerprint scanner as they have not chosen to move it to the back in line with Samsung technology. FaceID is set to replace what they considered to be the outdated technology of fingerprint security; however, the keypad password back up is still there for backup. It came as no surprise that the iPhone XS is mostly glass so dropping it will not end well and cases are suggested when you consider the price tag that accompanies this handset. The glass is toughened Gorilla Glass 6 but let's face it, it is still going to shatter or crack when it lands on something hard! The handset is available in Apple’s favoured colourways with space grey, silver and gold being available to UK users. It seems they prefer to stick to these more classic colours for their new flagship phone as it maintains their high-end image. Being quite hard to improve on perfection there is little change to the audio performance of the iPhone XS. It still has the proprietary W1 wireless chip that ensures seamless connection to Apple’s own AirPods, but the technology can also be found in other headsets such as wireless beats. The sound quality is impressive, and you can certainly get lost in the performance. When it comes to the camera technology again, we do not see a massive change. On the rear of the iPhone XS, we have the same two 12MP lenses which also feature on the iPhone 8 Plus. Not being a plus size handset this is, therefore, second standard phone in the fold to feature this, with the iPhone having been the first. So much like its predecessor, the iPhone XS has TrueDepth on the front facing camera, and this is where the Face ID magic happens. As mentioned gone is the fingerprint ID. The processor has received something of an upgrade and is now an A12 processor with significantly improved Intel LTE chips which also means the USB-C to Lightening cable charging experience will be significantly enhanced. The screen resolution is still 2436 x1125 which has been enhanced by the edge to edge screen design and was an improvement we first saw with the iPhone X, and the notch has been retained as this is where the Face ID camera is sited. Continuing to move forward the headphone jack remains a thing of the past, and this time there is no adapter including with Apple pushing harder to get their users to move to wireless listening. A new and exciting development for this new iPhone is the inclusion of Apple Pencil support which is a welcome inclusion for many who are restricted to the iPad Pro for using the pencil. It seems rather like Apple cannot fail to impress, such is the commitment and loyalty of their fans that any minor quirks. To be fair, the iPhone XS is a first-class handset, and it is packed to the rafters with features. Pay monthly deals are not cheap; however, they still make owning the new handset within months of release a very real possibility for many want to be owner. This is a show-off phone and sells itself with very little effort. The bottom line will always be that this is one of the best phones on the market. Currently, the Galaxy Note 9 holds the other flagship title, but if you love iOS technology, then this is likely to be the phone of choice. Knowing how in demand this handset was going to be we immediately sent our best deal finding staff to seek out the best pay monthly deals for our customers. The iPhone XS has a lovely range of deals including those at no upfront cost. 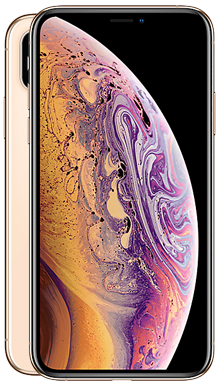 If you would like to find out more about the iPhone XS or if you have questions about any one of the specific deals with Fonehouse, then why not call one of our excellent customer service team members today, on 0333 900 1133.